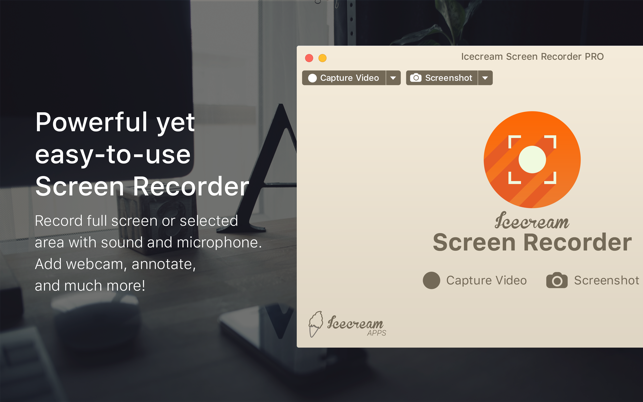 Get your Pro version of Icecream Screen Recorder now! Boost your productivity! 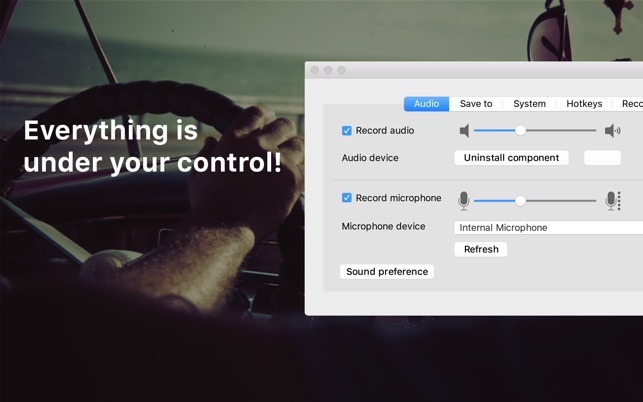 Unlimited professional screen recording for your Mac! - Upload screenshots by URL. 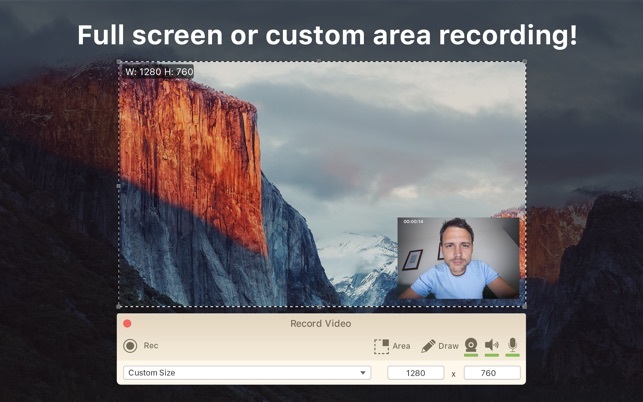 - Full screen recording: Record the full screen of the desktop. 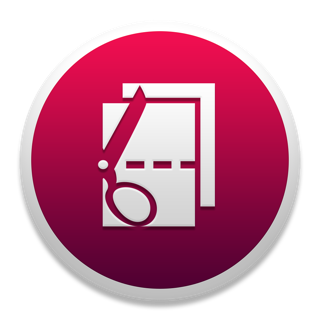 - Custom area recording: Manually select the size of the screen capture area. - Video format and quality selection: Record screen in MOV or MP4 format and select the video quality. - Drawing panel: Add text, lines, arrows, circles, rectangles, etc. 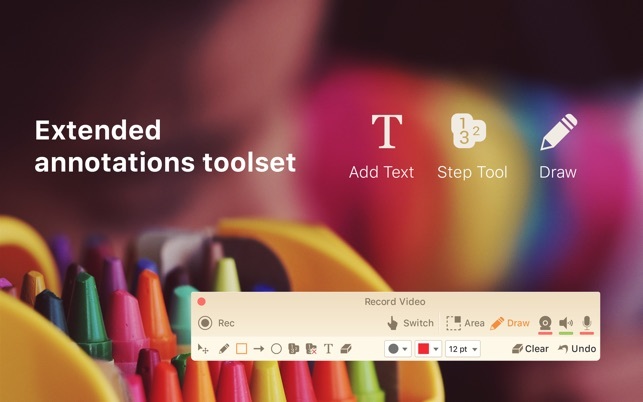 - Step tool: Add numbered markers of customized colors and sizes to highlight steps of the videos and the screenshots. 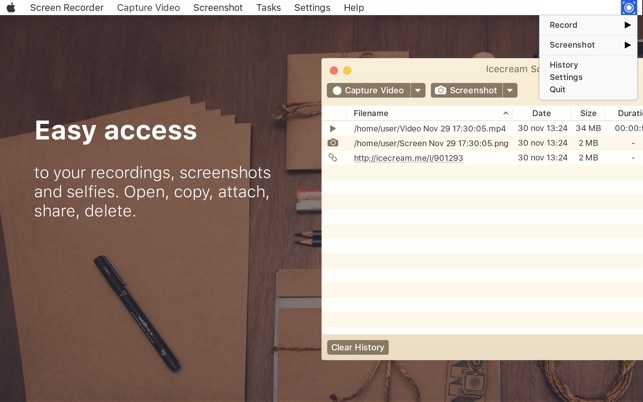 - Project history: Get easy access to all the files previously created with screen recorder. - Record audio and microphone: Enable or disable audio and mic recording. 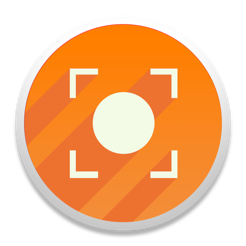 - Webcam recording: Add webcam recording within the selected recording area. 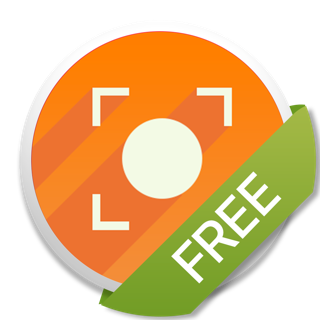 - Screenshot to URL: Upload the screenshots by URL to our server to effortlessly share them online. At first I didn't get the sound to work. You have to download a separate sunflower app for that. Go into settings. The app said installation failed. But the sound still worked afterward. So, wo far so good. Other than that easy to use compared to other apps. I always use this recorder and it is great to use, however it sometimes won’t record what I want it to record. Overall, I think that this recorder is great for videos. I got the free version, but it would only record one minute of video and there was no sound. I downloaded Soundflower, still no sound. I paid for the "pro" version, still no sound. I'm sure I'll get it worked out sooner or later but so far I'm not terribly happy with it.